Nowadays, people are beginning to drink soft drinks like water. 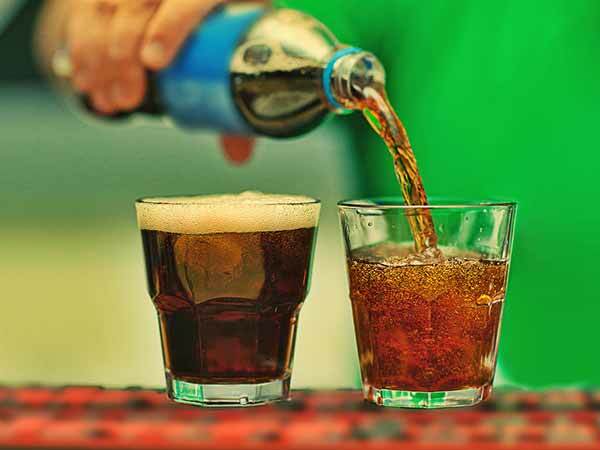 A recent research has shown that drinking soft drinks can weaken your bones. You might face heart, obesity and diabetes. Most of the people know that cold drink contains sugar and acid. But it also contains sodium benzoate and mercury. Regular intake of this increases many diseases. Mercury: It contains corn syrup, toxic metals and mercury. Regular intake of cold drink impacts on your health and later on you face many diseases. Sodium Benzoate: It is one type of preservative which keeps food fresh for long time. It is also found in cold drinks. It might be harmful for health. Aspartame: This deadly chemical is used to sweeten soda. The overdose of this chemical creates dizziness and nausea. Phosphoric Acid: All know soda contains acid. Phosphoric acid creates strong taste in the soda which is harmful for the body. It causes the loss of calcium in your bones which can lead to weak bones. Bisphenol A: It is dangerous because it reduces your concentration and damage the brain. It is also harmful for the women because they might face thyroid problem. High Fructose Syrup: It is added in the high amount in cold drinks. You might get obesity, diabetes, cancer and heart problem due to regular intake of cold drinks.